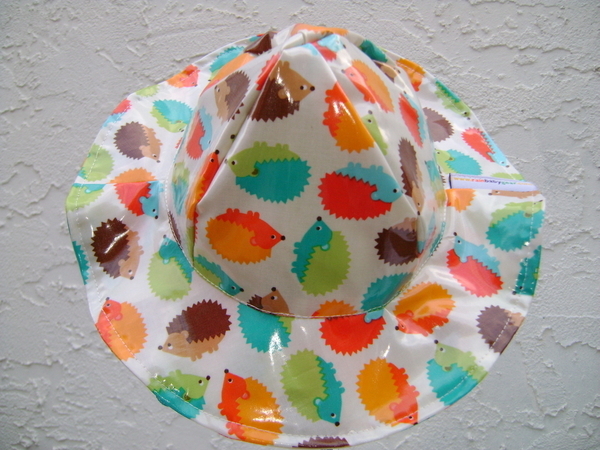 This waterproof or water-resistant kid's snow hat keeps off the rain and snow. 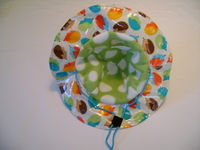 The fleece-lined hat will keep your baby's head warm while the water-resistant outer surface will repel water and snow. 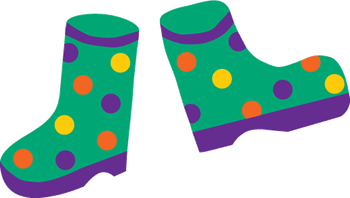 It's the perfect kid's hat for all types of weather! 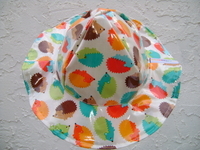 This adorable hedgehog rain hat also features an adjustable chin strap. Free shipping does not apply with our clearance items. Small (17”-18.5”) Approximately 6 months to 1 year. Medium (18.5”-20”) Approximately 12-24 months. Large (20”-21.5”) Approximately 24-36 months. Price includes free shipping. See here for more details on our 'first pound for free" shipping policy. Line dry and do not put in the dryer.